If you plan on going away this summer, your dog may need to spend time in a pet boarding facility. Boarding facilities (as well as grooming facilities and dog parks) are common areas where dogs may catch Kennel Cough! Kennel Cough is an upper respiratory tract infection spread between dogs. It is most commonly caused by infectious bacteria and viruses such as Bordetella bronchiseptica or Canine Parainfluenza. When infected with these, the defense mechanisms of your dog’s upper respiratory tract is lowered, allowing bacteria to grow and thrive. This will commonly lead to upper respiratory signs, but can descend further into the lungs and cause pneumonia. Dogs catch Kennel Cough by being around other infected dogs and inhaling the organisms. Unfortunately, dogs can shed Kennel Cough without actually showing any signs that they are infected, this makes it difficult to prevent in kennel situations. Signs usually occur 3-10 days after exposure. Dogs that are particularly stressed are more likely to develop Kennel Cough. What are signs of Kennel Cough? The most common sign is a dry hacking cough. Often it will sound like your dog has something stuck in its throat. Typically dogs are still very bright and energetic. More serious signs that suggest a deeper infection and possibly pneumonia include lethargy, fever, a productive cough with mucous and difficulty breathing. 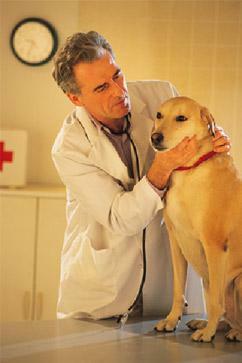 The best thing to do would be to take your dog to the veterinarian for a thorough physical exam. This will allow your vet to make sure your dog has no other issues that could cause a cough, such as heart disease. Many dogs are able to recover from infection on their own with two weeks of rest. It is important to keep your dog isolated from other dogs while it recovers, as Kennel Cough is highly contagious. If your dog is really feeling unwell or if your veterinarian notices signs of secondary infections, the vet may elect to place your dog on antibiotics and/or cough suppressants. Vaccines are available for both Bordetella Bronchiseptica and Parainfluenza. Like flu vaccines, Kennel Cough vaccines may not fully prevent your dog from getting Kennel Cough in a high exposure area but will help prevent your dog from experiencing severe signs. You should make sure your dog is vaccinated at least one week before entering a boarding facility. Choose a facility that suits your dog. If your dog enjoys the outdoors or playing with other dogs, you may want to choose a facility where your dog will be able to do that. However, if your dog isn’t as social as some, it may be best to find a facility that keeps all dogs separate with individual exercise times. You could also or consider a pet sitter. Make a visit to the facility. 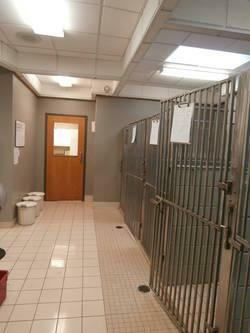 Make sure the kennels are kept clean and bedding and bowls are changed frequently. If the facility does not offer a full tour, it should be avoided. Do a short stay first. If your dog has never boarded before, it is a good idea to have him stay for a day here and there before doing a longer stay. This way it will not be such a new place for your dog when he has to stay longer and he will be far more comfortable. Start young. 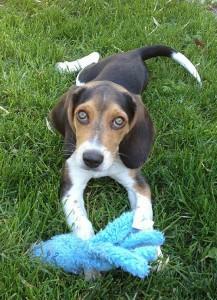 It is best to introduce kenneling early in your dog’s life. Allowing it to have occasional stays as a puppy will help it to adapt to these situations much more easily. This would also provide valuable socialization for your puppy. Bring the things your pet needs. Bring your dog’s usual food so there are no sudden changes to diet that can cause an upset stomach. Also make sure to bring any medications your dog may need. Bring some reminders of home. Leaving your dog’s favourite toy or blanket will add an extra level of comfort for your dog. Just be aware that sometimes stressed dogs may chew up these things, and sometimes things will get lost in the hustle and bustle of busy boarding facilities. Be happy when leaving your dog. Try not to be upset about leaving. Dogs are very good at sensing our emotions! If you are stressed about leaving your dog, your dog will also be stressed. We hope that by following these tips, your dog will have a safe, healthy and enjoyable time boarding! We do offer boarding at our sister clinic Mitchell Veterinary Services and would be happy to give you a tour and answer any questions you may have about boarding your pet.